Heavy Muscle Radio: (05/10/10): Dr. Scott Connelly & The IFBB NY Pro Wrapup! 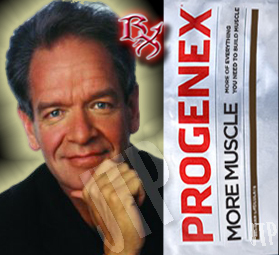 Dr. Scott Connelly gets in depth about a new Progenex product that is aptly named MORE MUSCLE. He also finally defines the mechanisms behind what we all know as "Muscle Memory", and clues us in as to what growth factors are necessary to build muscle more efficiently. Dave & John wrap up this past weekend's IFBB New York Pro where Roelly Winkllar came out on top! 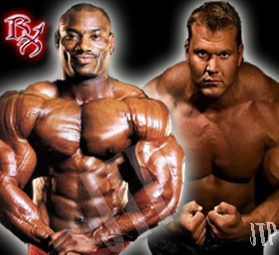 Heavy Muscle Radio: (05/02/10): Mr Olympia DEXTER JACKSON & Derek Poundstone! Mr. Olympia DEXTER JACKSON makes his debut appearance on HEAVY MUSCLE RADIO! How hungry is he for the top slot in 2010? Dexter reveals his new outlook on the sport of bodybuilding and his role as one of the best bodybuilders on the planet! Strongman Champion DEREK POUNDSTONE invades HEAVY MUSCLE RADIOand receives the prestigious title of RXMUSCLE.COM's WORLDS STRONGEST MAN from DAVE PALUMBO! Heavy Muscle Radio: (04/26/10): IFBB Pro TONEY FREEMAN! 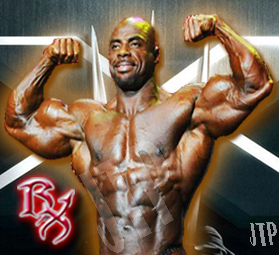 The X-Man, IFBB PRO TONEY FREEMAN, joins Heavy Muscle Radio! He tells the world that he plans on bringing his most impressive package ever to the pro stage, and shares his insights into how he'd improve the sport for all competitive bodybuilders. Dave & John breakdown the upcoming NPC Pittsburgh Championships, NPC Jay Cutler Classic and give a full preview of the 2010 IFBB New York Pro Show!